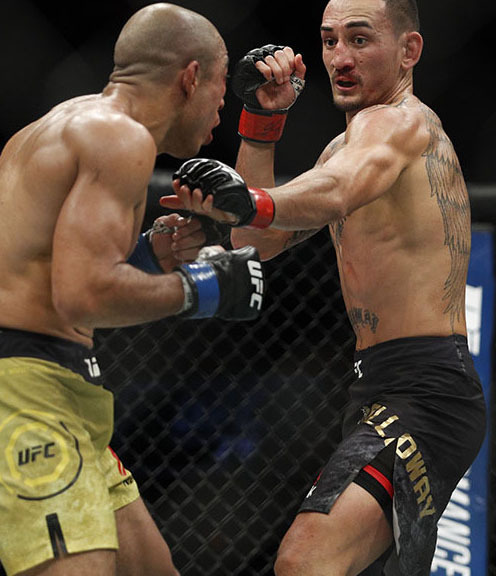 Earlier this year at UFC 212, Max Holloway knocked out Jose Aldo in the third round to unify the UFC Featherweight Championship, and like deja vu, he did the same thing again, knocking out the former longtime champ in the third round to defend the title. Holloway has now won 12 fights in a row, the fifth-longest win streak in UFC history, and he's likely to fight Frankie Edgar in his next title defense. As for Aldo, after a long reign as champ, he's now lost three of his last four fights by knockout, and he needs to either contemplate retirement or move up to 155. 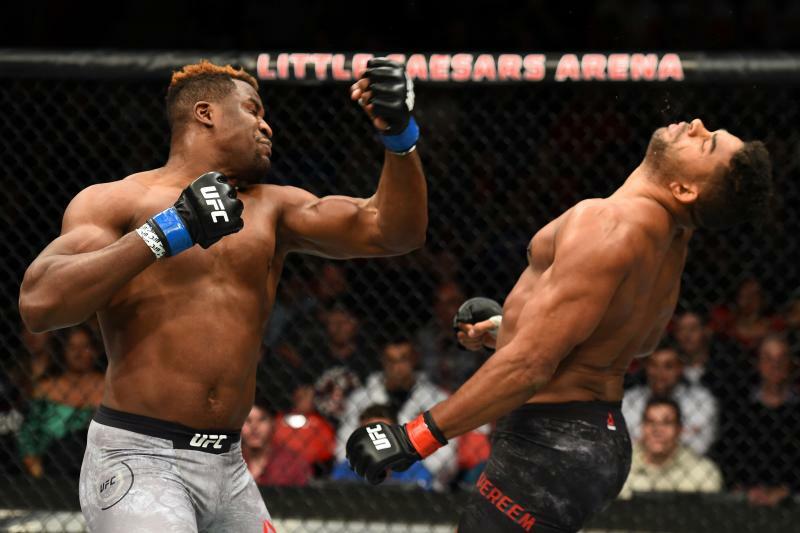 The UFC's newest superstar was born when Francis Ngannou brutally knocked out Alistair Overeem with an uppercut in the first round. Ngannou is now 6-0 in the UFC with six finishes, and he is the scariest fighter in the sport right now; he'll be next in line to fight UFC Heavyweight Champion Stipe Miocic. As for Overeem, he's now suffered 11 TKO losses in his career, and he should be contemplating retirement after taking so much damage during his illustrious career. On a card full of ridiculous finishes, Henry Cejudo and Sergio Pettis had a snoozer of a fight, with Cejudo winning a lopsided decision. Cejudo is still a top contender at 125, but if he wants another title shot against Demetrious Johnson he needs to finish more fights. After nearly three full rounds of brutal action, Eddie Alvarez knocked out Justin Gaethje with a devastating knee late in the third round in a "Fight of the Night" performance. It was an amazing fight by both men, but in particular Alvarez, who showed once again that he's an elite lightweight. A rematch against Dustin Poirier makes a lot of sense. As for Gaethje, he's still an amazing fighter and it will be interesting to see who the UFC matches him up with next. One of the strawweight division's top fighters is Tecia Torres, and she improved to 6-1 with a unanimous decision win over Michelle Waterson. Torres is already asking for a title shot against Rose Namajunas, but she likely needs another win to get a title shot, preferably a stoppage win. After a tough first round where he overcame numerous submission attempts, Paul Felder stormed back in the second to knock Charles Oliveira out with elbows on the ground. Felder has now won his last three fights via elbows, and he deserves a ranked opponent his next time out. As for Oliveira, he's very hit-and-miss, and after getting finished yet again, the UFC may finally let him go. 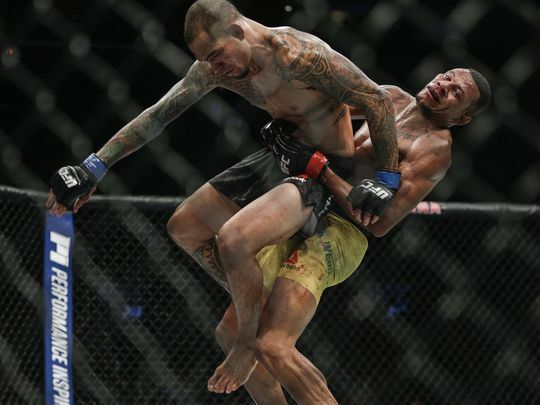 One of the craziest fights of the card saw Yancy Medeiros survive a first-round beating at the hands of Alex Oliveira to come back and knock Oliveira out in the third round. 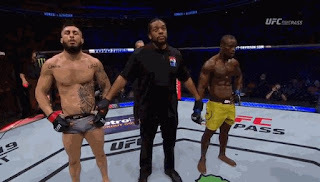 It was a crazy fight and won "Fight of the Night" alongside Alvarez-Gaethje. The victory should put Medeiros in line to fight a top-15-ranked opponent next time out. One of the weaker fights on the card saw David Teymur win a unanimous decision over Drakkar Klose. Teymur is now 4-0 in the UFC, but in a crowded lightweight division, he needs more finishes to really make a name for himself. After a competitive three rounds, Felice Herrig won a split decision over Cortney Casey. Herrig is now on a four-fight win streak and has quietly emerged as a darkhorse contender in the strawweight division. She deserves a top-five opponent for her next fight. Amanda Cooper was one of the biggest favorites on the card and showed why with a brutal second-round finish over Angela Magana. Beating Magana doesn't mean much, as she's lost five straight fights, but the victory shows Cooper has some potential in the strawweight division. After a crazy four-plus minutes of action, Abdul Razak Alhassan appeared to have dropped Sabah Homasi and finish him, but replay showed it was a bad stoppage from referee Herb Dean. The UFC has already booked the rematch between these two, and it will take place at UFC 219 later this month. 205's hottest prospect is Dominick Reyes, and he continued his undefeated streak, upping it to 8-0 with a first-round submission victory over Jeremy Kimball. Reyes is deserving of a step up in competition for his next fight, and that fight should take place on a main televised card. What looked like a tremendous card on paper turned out to be just that and more, as UFC 218 was littered with highlight-reel knockouts and drag 'em out wars, which made it one of the best cards of the year.